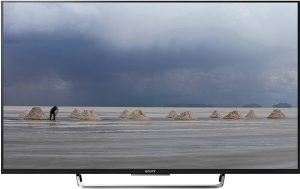 When we think about buying a new TV for our home then the biggest question we face first- “which is the best TV for me?” Now days are gone when people used to be satisfied with simple TV box. It is the era of smart TV which can feature you maximum possible entertainment via the connecting internet and other external devices. 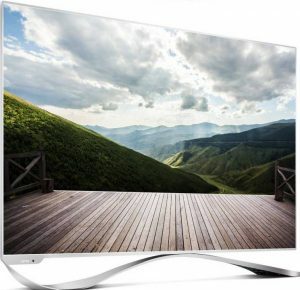 In this article, we have compiled top 10 best smart TV in India. 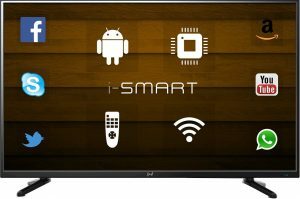 Just go through this and select the best possible smart TV for you as per your desire and requirement. With Sony Bravia KDL-43W800D full HD, LED smart TV enjoy extraordinary 3D movie watching experience. Its 108 cm wide screen gives you a chance to watch high quality and full HD movies by sitting at your home without going in the rush of theatres. Your smart TV gives you an option to check your Facebook account or you can enjoy YouTube videos and movies on it. The 178 degree viewing angles facilitate you to watch your favorite programs and movies by sitting at any corner of your home without making any compromise with the picture and sound quality. Its four HDMI and 2 USB ports let you to connect with the external devices. Its internet features include- built in WiFi, Android TV, Integrated wireless LAN etc. If you want to have a classy look TV with fast processing speed and smart features then this TV is most suitable one for your purpose. Built in WiFi exists. There is no 3D glass available along with this TV. Superb picture quality. Speak button is missing in the remote. If you are desired to buy a smart full HD TV then, of course, you may think once about the LeEco L 553L2 smart LED TV. The classy touch and finish of this TV is quite impressive. Along with great picture and sound quality, this is the most suitable one for gaming purpose. It provides you with impressive smooth and speedy performance while play any high HD games as because its quad-core processor provides you unbeatable visuals and extraordinary clock speed action. It runs on Android 5.0 operating system, EUI 5.5 user interface and supported by 2 GB DDR3 RAM. Some of its internet features include- built in WiFi, Wireless Ready, Mobile high definition link, Ethernet. The three HDMI ports and three USB ports provide you an option to connect with many external devices which in turn enhances to your entertainment options. Sound and picture quality is too good. This is the oldest version TV. Android features are quite impressive. Its price is a little bit high. Noble Skiodo is a USA based television manufacturing company. 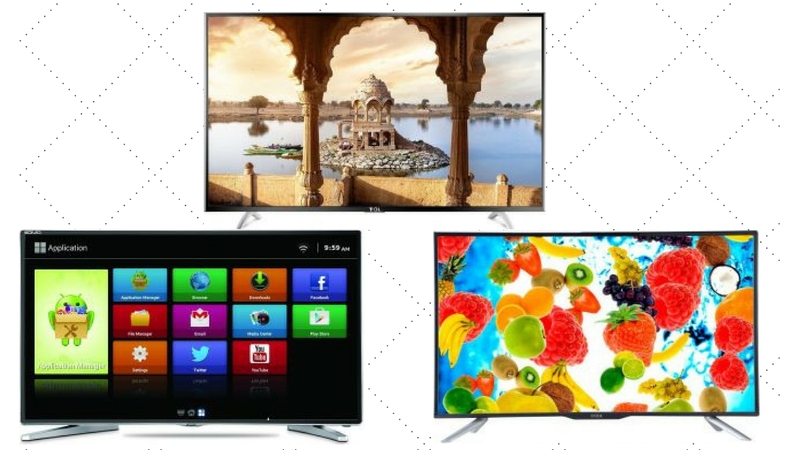 It offers high-end technical devices by tie up with the Skiodo Inc as Best Smart Led TV in India. This is only been possible through its regular efforts, invention programs and dedication. 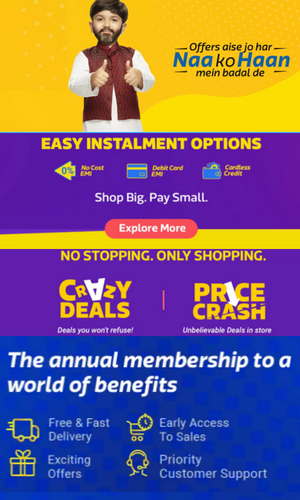 One more advantage of buying smart TV of this brand is that you don’t have to pay any installation charge for the TVs of 32 inches or above size all over India. The Noble Skiodo 32SM32N01 offers n number of features that you don’t have to look for any other entertainment media at your home. Connect external devices with the available 3 HDMI and 3 USB ports. 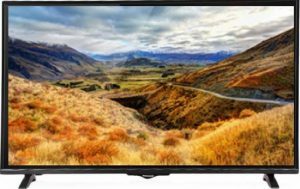 The 178-degree wide viewing angle provides you with the freedom of enjoying TV shows from any corner of your home without compromising the picture and audio quality. Its audio output offers some special features like Treble adjustment feature, Bass adjustment feature, Power audio and Sound equalizer etc. Free Installation service. Regular updates are not received from the company. One can connect it to the internet as well as their mobile also. Very weak stands. 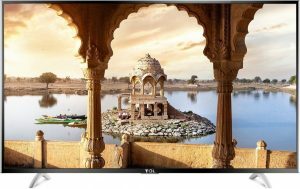 If you are looking for a smart LED TV then we must suggest the TCL L55P1US ultra HD smart LED TV. Now enjoy the extraordinary audio experience by recording your favorite TV shows and programs by clicking on the record button of your TV remote and play it again at your leisure time. Activate the sports mode while watching your favorite sport and feel the experience of live watching like you are sitting at the stadium along with its true color pictures and highly featured audio effect. You can use your smartphone just like a remote controller and through WiFi share your memorable videos and photos and enjoy it watching on a wider screen with HD special effects. Moreover, its buffering time is only of few seconds so watch your favorite shows at quick start, without wasting time in buffering. It's built in Best Smart Led TV in India with Bluetooth offers audio connection in two-way wireless transmission. WiFi and Bluetooth both are available. Webcam recognition is not at all good. The Onida LEO40FSAIN/LEO40FAAIN HD smart LED TV is one of the top 10 Best Smart Led TV in India and we must recommend this smart TV to you. Now watch your favorite movies, programs, and videos on 101 cm (40 inches) HD smart LED screen with display resolutions of 1920 x 1080 pixels. Experience the fast web browsing speed, smooth multi-tasking work performance, flawless interaction with its quad-core processor. The MHL feature let you connect your mobile to the TV and you can see your mobile contents on a wide screen with better picture and sound quality. As it is powered by the strong processor so very friendly for game lovers because they can play their favorite HD games without any lag. You can connect to any external devices via connecting ports which are 2 USB and 3 HDMI. Its Android features are quite good. Remote charging place is missing near TV. Multiple connecting ports available. NonHD channels picture quality is not at all good. 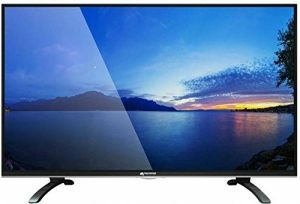 If you are eager to know the price of Best Smart Led TV in India, then you are on right place. Mitashi is one of the leading smart LED TV manufacturers and this product of Mitashi cost Rs. 28,890. It offers you an amazing viewing experience. There is built in Android OS in this which lets you see multiple applications with lag free performance. So now check your emails on your TV only or download and play your favorite games or Apps. Its DLED backlighting display provides you pixel-perfect picture quality, true blacks, vivid color etc. Also, you can experience virtually edgeless picture on extremely slim fit display. Connect the USB or any other external drive via USB ports and watch its contents on a wider and clearer screen. You can use your smartphone as remote control via Agile remote server/client app. Its picture and sound quality are quite impressive. HD setup box channels are a must for true picture clarity. Android features are quite good. The LG 43LH576T HD smart LED TV is one of the best smart TV in India. Enjoy high HD movies and videos on LGs 108 cm (43 inches) wide screen with the display resolutions of 1920 x 1080 pixels. It's built in WiFi help you to connect with the internet which indirectly opens the world of vast entertainment for you. Some of its other internet features include- Smartphone remote controller (Remote App), Miracast, App store, Premium content (India specific apps), Netflix, YouTube, Network file browser, Netflix. Apart from normal features, it is rich with some additional features like JPEG picture type, Input labeling, Flat display type, external device App download, Joystick key etc. The extra slim fit and metallic design of this Best Smart Led TV in India is quite enough to attract anyone to buy this. Built in WiFi exists. 2 HDMI and 1 USB ports are not at all enough for connecting external devices. Picture quality is quite impressive. 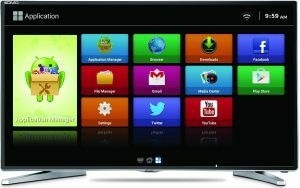 If you are hunting for a Best Smart Led TV in India then we must suggest the Micromax Canvas to you. This is a complete entertainment box which is full of smart and advanced features. Now enjoy HD movies and games on 102 cm wide screen with 1920 x 1080 pixels resolution. 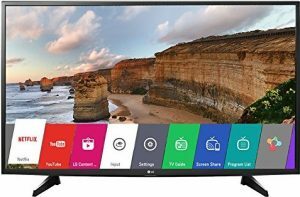 It is rich with android features and good for those who need a smart TV for all kind of internet entertainment solutions. The mobile high-definition link (MHL) available in it enables you to connect your android mobile with the smart TV which in turn opens the door of wide entertainment options for you. You can see your mobile contents like images, videos etc on a wide screen with extraordinary sound and picture quality. Through built-in WiFi, you may get connected to the internet and check your FB or emails very easily. Its picture quality is quite impressive. Sound quality is average. The Miracast app available in it works smoothly. 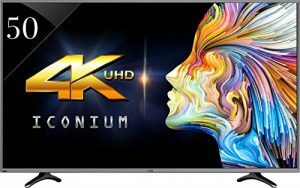 If you are looking for a Best Smart Led TV in India with smart features then we must suggest you the Vu LEDN50K310X3D ultra HD smart LED TV. 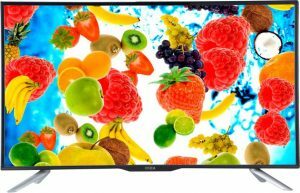 It is featured with 20 W speaker output, 1 audio output, 3840 x 2160 pixels resolution, 178 (H) degree viewing angle, display size- 127 cm (50 inches). The 4 HDMI ports and 3 USB ports let your TV to connect to the external devices. This is a high-end android feature supporting TV which offers smart internet features like- Built-in WiFi, Mobile high-definition link (MHL), Ethernet, Smart OS, DLNA compliance, Wireless IEEE, Miracast, Opera TV store, YouTube, TV web browser, Picasa, Facebook. Its wide viewing angle let you enjoy your favorite TV programs by sitting at any corner of your home without distorting the picture and sound quality. Amazing picture quality. HDMI port support is not at all good. Perfect black screen with black background. Have the feeling like theater on a wide 109 cm (43 inches) screen of Panasonic TH-43CS400DX ultra HD smart LED TV with the display resolution of 1920 x 1080 pixels. Its 176 (H) degree wide viewing angle offers you the freedom of watching TV from any corner of your home. The built-in WiFi let you connect with the free world of internet and in turn, opens up the vast world of entertainment. You can connect your TV to many external devices via three HDMI and two USB ports. Some of its additional features include JPG/JPEG picture format support, media player, analog tuner, hotel mode, 200 mm x 100 mm Vesa compatibility etc. The 100-hertz refreshing rate ensures that you get pixel perfect clean picture quality in this Best Smart Led TV in India. Very easily detect USB. WiFi support is not very good. Picture and sound quality is awesome. There is inbuilt WiFi exists in it. All these TVs are the top 10 best smart TV in India and each one of them is special and unique with their individual feature. So pick any one of them as per your need and requirement that fulfills your desire. Hi, I would like to say RIDAEX NUKE series are the best Smart TV’s under budgetary which is completely loaded with high specifications and has a good built in quality too. Personally i am using it from past 5 months and very happy about the product.